COMPOSOLITE® is a patented advanced composite building panel system suitable for major load bearing structural applications. The modular construction system consists of a small number of interlocking fiber reinforced polymer (FRP) structural components produced by the pultrusion process. The main building panel is 3" thick x 24" wide (80mm x 605mm) nominal size and features a cellular construction. Panels can be connected using the 3-way connectors, 45-degree connectors, toggles and/or hangers. This uniquely designed system of interlocking components makes it possible to design fiberglass structures at significantly lower costs for a broad range of construction applications. COMPOSOLITE® structures can be designed in “kit form” and shipped flat to the job site. 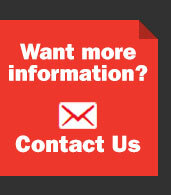 COMPOSOLITE® is a system of five interlocking components manufactured of pultruded fiberglass reinforced polymer. The system combines manufacturing simplicity with an almost unlimited number of configurations. The COMPOSOLITE® panel features integrally molded longitudinal grooves into which a connector or toggle is inserted during assembly. 3-way and 45-degree connectors allow the system components to turn corners and facilitate the joining of walls or sides. Toggles lock panels and connectors together securely. For added flexibility, the system also includes a hanger and an end cap. For permanent structures, joints between panels and connectors are bonded during assembly. Adhesive is applied along the length of the panel and connector. The toggle, to which adhesive is not applied, is then inserted to mechanically secure the components and create even pressure along the length of the joint until the adhesive between the panel and connector cures. DURASHIELD® is a tongue-and-groove fiberglass pultruded panel comprised of a pultruded skin over a foam core. Available in 1" x 12" and 3" x 24" sizes, the pultruded fiberglass skin of these panels is available in either a premium polyester or vinyl ester resin. Both resin systems are flame retardant (UL94 VO). Vinyl ester is utilized in more corrosive applications. A synthetic surfacing veil is incorporated into the skin to improve weathering, corrosion resistance and resistance to degradation from ultraviolet rays. Resistance to weathering can be further enhanced by the application of a polyurethane paint. 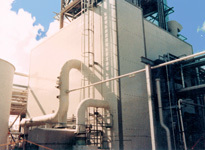 The core material is rigid closed-cell urethane foam. 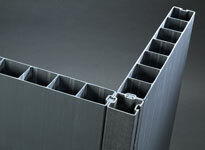 The foam core provides an insulation "R" factor of 5 for the 1" panel and 17 for the 3" panel. 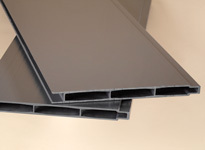 DURASHIELD HC® is a cost-effective alternative to DURASHIELD® because the building panel has a hollow core. This panel is a sensible choice for any type of roofing, flooring, enclosures or screening that does not require insulation. It is a custom designed tongue-and-groove building panel for quick assembly and easy installation in various applications.